Bacon Mints taste like a mint leaf delicately kissed a slice of crispy bacon. And though that might sound weird, once you taste it you'll understand. 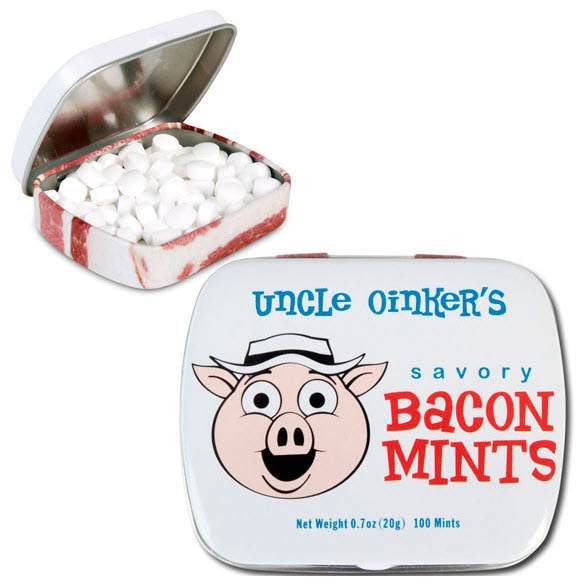 For Bacon Mints prove one thing: mint and bacon is a match made in heaven. Hog Heaven. Sorry. Tastes like a slice of bacon with just a hint of mint.